stead at Pacy Lake District. Here he did the chores and odd jobs such as putting in fence posts. They treated him like one of the family. He stayed at Curwins for six months. After leaving the Curwins he went to work for Jack Wilkenson, in the Bethel area. He stayed there for about nine months. Basswood was his next stop with the Able family, first with Bill, next with Tom and then with Jack. From there he went to the Deloraine area where he worked for Mr. Radford helping with the seeding, farm chores and driving horses, etc. He took Mr. Radford's horses and cows to Swan River by train, travelling in a boxcar. It was so very cold and the water for the animals froze so he carried in snow by the boxfulls for them. Once he got to Swan River, the Radford hired man, a Swede, told my dad about the Qually farmers and he wrote a letter to Mr. Qually asking if there was work for my dad. He received a letter stating that there was indeed work for him so off John went to the Quallys, as a field worker, at Dakota Siding. This was in 1937. I must mention that while in Deloraine he met an Irish Colleen named Mary Connelly and was quite smitten by her. However, he left her and came to Quallys. He then worked for neighbours, the Fossays, and this is where he met Alice Campeau who also worked for them. In 1937 John changed his name from Tkaczuk to Small. (Matt and Almer also changed their name to Small, but at a later date). He and Alice married in October 1937 and their daughter, Charlotte (me), was born in August 1938 at Dakota Siding. John followed his dream and set up a blacksmith shop in Starbuck. He and Alice moved into the town of Starbuck and shortly after, their son, Louis, was born. 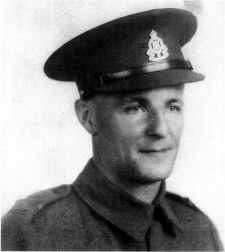 The Second World War began in 1939 and, III 1941, he voluntarily enlisted in the Royal Canadian Armed Forces. He was sent overseas serving in England, France, Belgium and Holland and there he remained until 1945. By that time, Charlotte was six and Louis four. He joined his family in Starbuck, took up blacksmithing again and went into partnership with Charlie Glowatsky. Their shop and business was called Small-Glow. He made a lathe that he had patented. Because of farm machinery becoming more modem, there was hardly any need for a blacksmith in town so John re-enlisted in the Armed Forces. At this time, another daughter, Marie Marlaine, was born. He was posted to, and took his family with him, to Fort Churchill, MB; Picton, ON; Montreal, QC; and lastly, to Germany, This was his second time overseas but this time he was able to take Alice and Marlaine with him - the two eldest chil­ dren remained in Montreal. 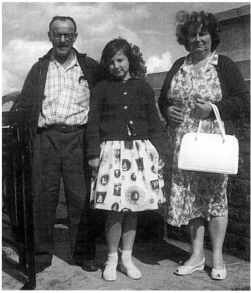 John, Alice and Marlaine remained in Germany for three years. While there, they toured France, Belgium, Germany, Switzerland and Holland. John retired from the Armed Forces after twenty­ five years of service. He then worked for the Civil Service in the same position (as a machinist) as he had when he was in the Armed Forces, only this time without the uniform. In total, he had 35 years service with the Canadian Government. It was shortly after he retired that his wife, Alice, passed away in 1982. He lived in Winnipeg for another ten years before packing up, selling his house and moving back to his roots in Erickson.